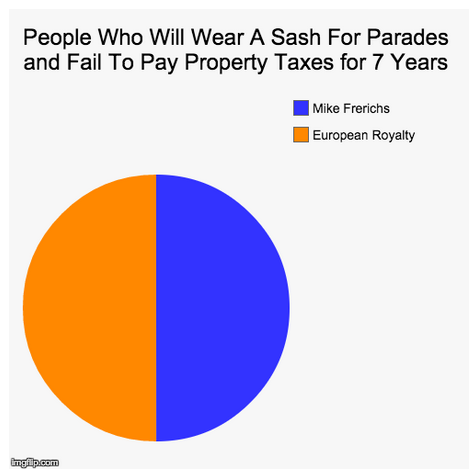 We're just as surprised as you are that it is such an even split between "King" Mike Frerichs and all of European Royalty. We would have thought that the Royals would have taken the lion's share of the pie in this one. But...Mike Frerichs is becoming known throughout 'the land' for his amazing way to draw negative attention.